The stories of Kaua'i's ruling chiefs were passed from generation to generation in songs and narratives recited by trained storytellers either formally at the high chief's court or informally at family gatherings. Their chronology was ordered by a ruler's genealogy, which, in the case of the pua ali'i (flower of royalty), was illustrious and far reaching and could be traced to one of the four great gods of Polynesia - Kane, Ku, Lono, and Kanaloa. In these legends, Hawaiians of old sought answers to the questions ""Who are we?"" ""Who are our ancestors and where do they come from?"" ""What lessons can be learned from their conduct?"" Na Pua Ali'i o Kaua'i presents the stories of the men and women who ruled the island of Kaua'i from its first settlement to the final rebellion against Kamehameha I's forces in 1824. Only fragments remain of the nearly two-thousand-year history of the people who inhabited Kaua'i before the coming of James Cook in 1778. Now scattered in public and private archives and libraries, these pieces of Hawai'i's precontact past were recorded in the nineteenth century by such determined individuals as David Malo, Samuel Kamakau, and Abraham Fornander. 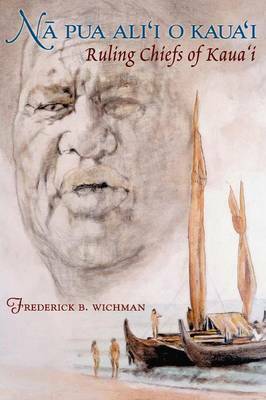 All known genealogical references to the Kaua'i ali'i nui (paramount chiefs) have been gathered here and placed in chronological order and are interspersed with legends of great voyages, bitter wars, courageous heroes, and passionate romances that together form a rich and invaluable resource.